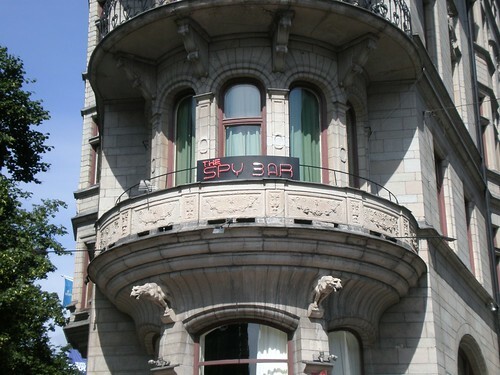 Recently, Spy Bar has become known for its uniqueness rather than just the delectable beverages and trendy interior. With a variety of music from house to rock, Spy Bar attracts a very diverse and interesting crowd. It also doesn't hurt that the club is located in Arnoldshuset, a breathtaking building with quite a bit of history behind it. Drinks are a bit costly, but keep in mind the crazy experiences you'll have here are priceless.